The College of Public Preceptors is now based here at Adhisthana. Every donation you make helps the Public Preceptors with their vital work in ordination training, and in tending the spirit and Dharma practices that animate our movement. Please consider giving regularly. 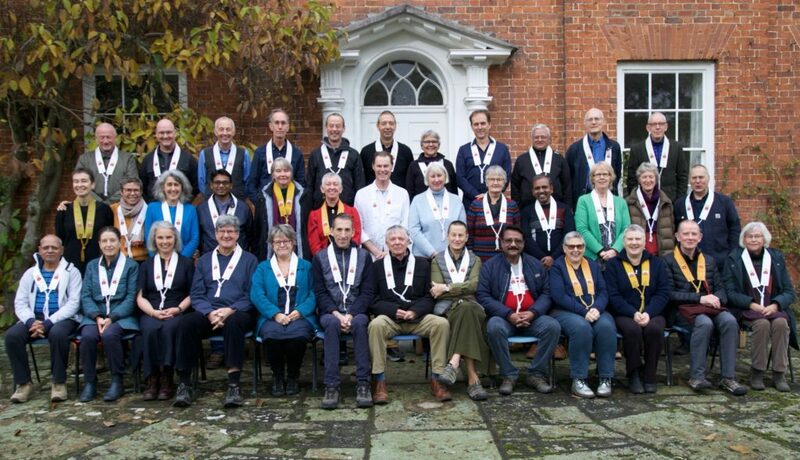 You can find out more about the Public Preceptors’ College, and stay up to date with what they’re doing, here at The Buddhist Centre Online. If you live in the UK or Europe, please use Go Cardless to make your regular or one-off donation. This fantastic new service is much easier for us to administer than paper Standing Orders, and finally allows non-UK residents to make monthly donations to UK-based charities at a very low cost – just 1% per transaction, capped at £2/€2. So for every £10/€10 you donate, we receive £9.90/€9.90. You may be reluctant to set up yet another online account, but it will be worth it because soon you may be able to donate to other Triratna charities such as the Order Office in the same way. If you live outside of the UK and Europe you can click here to use Paypal (about 3% charge), for a one-off or regular gift. If you have any trouble making your donation, please contact us at preceptorsfund@gmail.com.